I was originally going to post my thoughts on the 2015 Oscar nominations tomorrow, but alas, I must give in to doing so while those thoughts are fresh and fiery. Out of a possible 10 slots, eight films have been chosen for consideration in the Best Picture category. These include awards' season favorites, Birdman, Boyhood, Selma and The Theory of Everything. Rounding the category out are The Imitation Game, American Sniper, Whiplash and The Grand Budapest Hotel. Leading the nominations count with 9 nominations apiece are Birdman and The Grand Budapest Hotel. They are followed by The Imitation Game with 8, and then Boyhood and American Sniper with 6 nominations each. On the Best Actor front, we have the likes of Michael Keaton, Steve Carrel, Bradley Cooper, Benedict Cumberbatch and Eddie Redmanye all contending. For Best Actress its Rosamond Pike, Felicity Jones, Julianne Moore, Reese Witherspoon and Marion Cotillard. There were snubs aplenty with films like Selma only scoring two nominations (the second one being for "Glory" in the Best Song category). Gone Girl was not only deprived of a Best Picture nomination, but a Best Adapted Screenplay nomination too. Also deprived were Jake Gyllenhaal and first-time director Dan Gilroy for Nightcrawler. But perhaps most alarming is The Lego Movie's snub in the Best Animated film category; as a sort of halfhearted consolation, the movie has been given a nomination in the Best Song category for "Everything is Awesome." I could spend the remainder of this post lamenting the movies I was hoping to see get due recognition, but let's face it, it's impossible to please everybody. That is why I am choosing to appreciate the opportunity to explore the movies I wouldn't have seen otherwise. 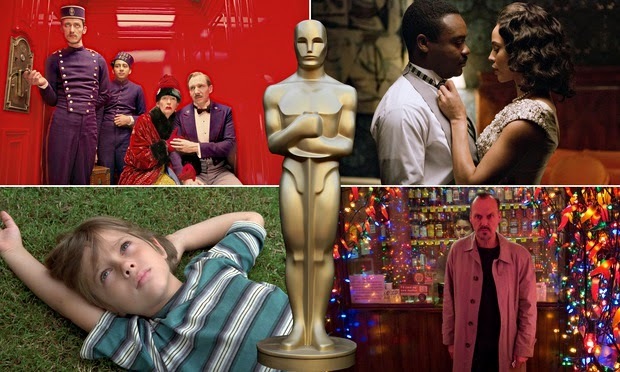 Of the eight films nominated for Best Picture, I have seen only three, Boyhood, Birdman and The Theory of Everything. I am updating my movies-to-watch list to include American Sniper, Whiplash and The Grand Budapest Hotel, just to name a few. As things stand, I'll be rooting for Boyhood to win Best Picture. Not because I feel it is better than any of the other films in contention. In fact, the movie was for the most part devoid of any kind of story and I am quite surprised it managed to score a Best Original Screenplay nomination. But for the mere fact that it is a movie like no other, an epic 12-year shoot resulting in something that is frequently likened to watching a time lapse video. You can't help but shake the feeling the movie is a once-in-a-lifetime experience, and as such, it needs to receive top honor. It's the first Wednesday of the month, and the very first Wednesday in 2015 to boot, making it the perfect opportunity for me to wish fellow Insecure Writer's Support Group members a "Happy New Year!" Hope you all enjoyed the holidays. The IWSG was of course started by Alex J. Cavanaugh, the acclaimed Ninja Captain himself; you can head over to his blog or the official IWSG website for more information on the group. 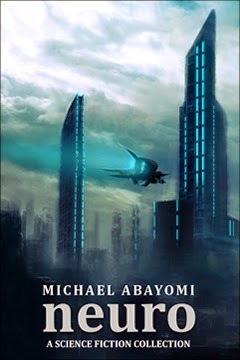 My name is Michael Abayomi, writer of speculative fiction and an all-round lover of science fiction and fantasy. 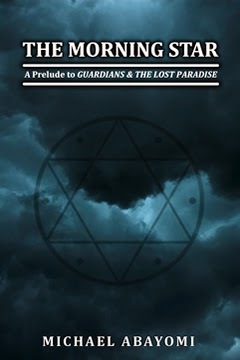 My book, Guardians & The Lost Paradise, was self-published serially over the course of 6 months in 2012. I am presently working on a post-apocalyptic superhero serial called Proxies, a book I am hoping to publish sometime this year. Right. So on that note, I would like to move on to the next item on the agenda, namely my goals and resolutions for the new year. Last year, I made a point of not setting any specific deadlines or goals, other than a general desire to be productive and more proactive. But the problem with that approach is that it leaves little room for any form of accountability. Goal #1: Finish the Darn Thing! The thing in question is of course the aforementioned book, Proxies, a sizable chunk of which remains to be written. 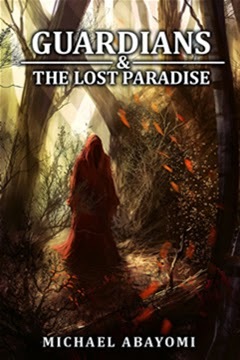 The book is being written in individual episodes, and I am almost tempted to publish some of the earlier ones, if only to force myself to finish what's left. But I'll stay my hand away from that shiny red button for the moment, at least until a time when such drastic measures would need to be taken. This is equally important, and remains a staple of my yearly goals. Because let's face it, writing a book is one of the hardest things to do. Even harder is all the extra work required to make our stories ready for prime time. So why do we do it? For me, it's the moments of sheer joy interspersed throughout the creative process, moments like when the story takes an unexpected turn, coming out even better than you'd imagined. I plan on taking the time to relish such moments. And there you have it, my goals for 2015. Not quite as elaborate as previous years, but hopefully this would be enough to set me on the right path to attaining said goals. What about you? What are your goals and resolutions for 2015?